When we are so focused on video resolution, colour balance, framing and composition it’s easy to over look the audio. 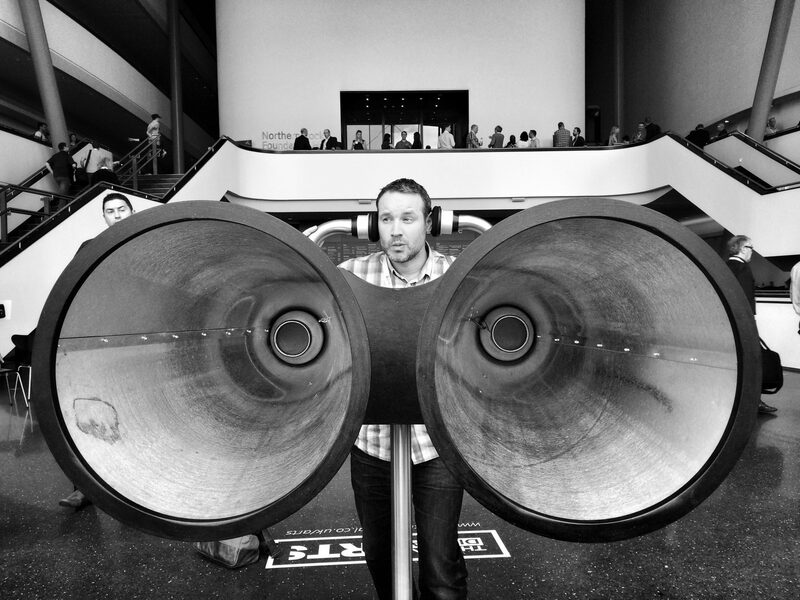 But never underestimate the importance of high quality audio in your video projects. Grainy or shaky footage can be seen as a dynamic feature of your video. Distorted audio could ruin it. It’s not difficult to capture crisp clear audio though. Here are a few tips. 1. Listen to the background noise where you are filming. Can you turn off the air conditioner or close a window? Isolating unwanted sound at this point will save you some work later on. Hard edges create echo. If ambient sound is inevitable, where possible choose a space with soft furnishings. Carpets, curtains and furniture will deaden the sound. In some cases particularly when capturing news on the fly, the inbuilt mic might be all you have. If using a phone carry a windshield in your pocket or bag at all times. It takes up little space and can save your audio if shooting in a windy environment. 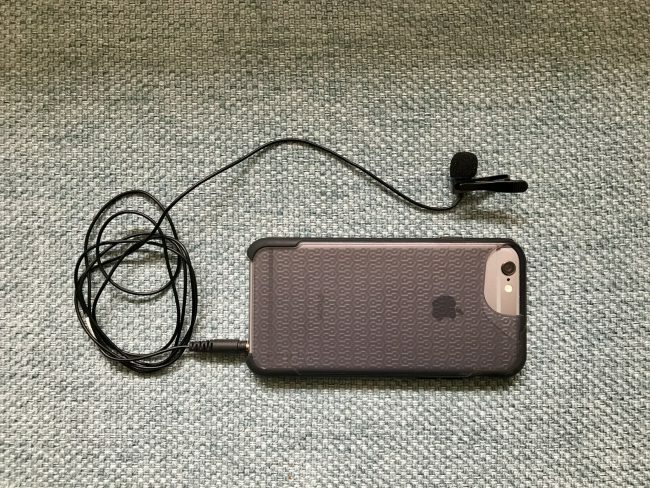 In an emergency, if you can’t find a sheltered spot then a sock, or glove can be stretched across the mics on your phone. Test which of the mics are in use when recording. Some apps will let you select certain mics. 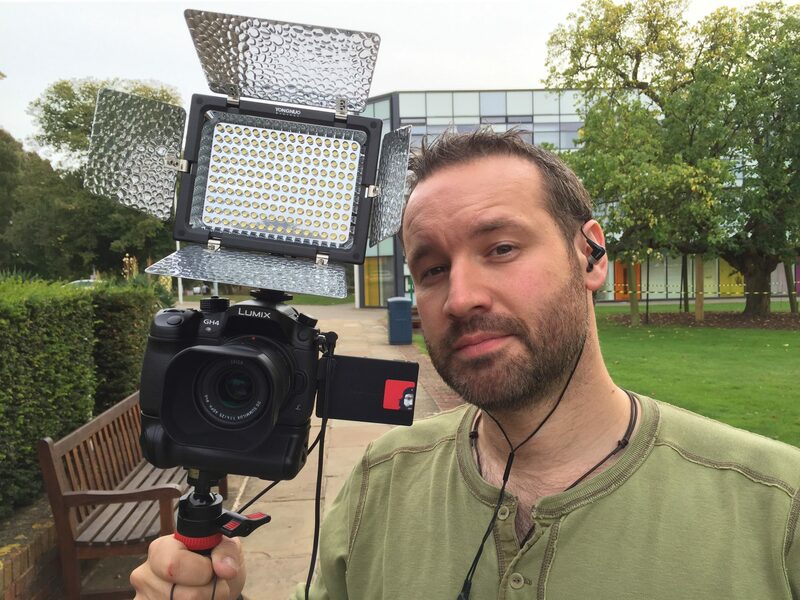 On a compact camera loosely taping some cotton wool over the inbuilt mic can also help. Most external mics with have some kind of mic shield available to buy. 3. Ideally use an external microphone. I.e. Something other than the inbuilt standard mic. On a phone or dedicated camera that might mean a lavaliere (tie clip) mic clipped onto your subject. Or a professional on-camera stereo or shotgun mic. This will capture a better range of sound and isolate background noise when needed. On my phone I use the Smart Lav+, the Shure MV88 or any XLR via the Rode iXLR. On My Go-Pro I’ll use the Rode Video Micro. 4. Get in Close! Keep your microphones out of shot but as near as possible to the subject. In short, the proximity effect can give you better fidelity, reducing background noise and making your voice sound amazing. Clip on mics or a shotgun mic on a boom pole can work well to achieve this. But an obvious mic in shot can be distracting. Get the mic as close to the sound source as you can. 5. If possible listen and watch your recording levels. If you can monitor with headphones do it. It’s hard on a phone but the iXLR and iRig options can help you here. Some cameras will show you your recording levels as will the phone app FilmicPro. Keep your recording levels at around -12db. Hot or distorted audio sounds terrible but audio at -12db can still be amplified if needed. If you can’t see or monitor your levels live then record sample audio and listen back through headphones. Thanks for reading. Good luck in your multimedia projects! If you have any questions or anything to add please leave a comment or tweet me. A version of this list appeared in my newsletter where you will find updated kit lists as it evolves. I only recommend gear I have used or that comes highly recommended from professionals. Some of the links on this page may be Amazon affiliate links but I am not connected or work for any of these brands. Hi, Christian, really useful tips. I’d like to add Cinema FV-5 for Android phones, as it shows audio level too. Thanks for the recommendation Bernhard! 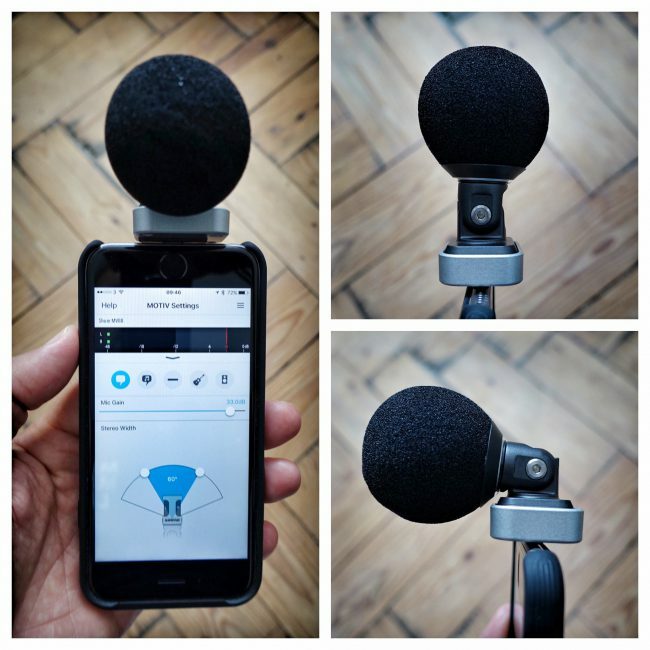 The Rodelink wireless mic kit sounds good too – think I’ll be buying one soon. 1, as matching white noise, it helps you paper magically over cuts by laying it underneath the interview, – for instance, you can cut someone off at the end of their sentence without all the sound dropping out, or cut out Ums without an audible cut in the background sound. 2, you can feed it into a sound editing application like Audition and then the system will analyse your whole interview and automatically extract the background sound, leaving just the sound of the person talking. Awesome for removing all kinds of background rubbish. Thanks! Yes Audacity will also remove the noise in your track if you feed it a little ‘ambience’.